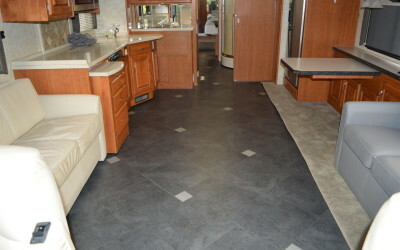 Classic Coach Works has been using Karndean Design Flooring for over 12 years. 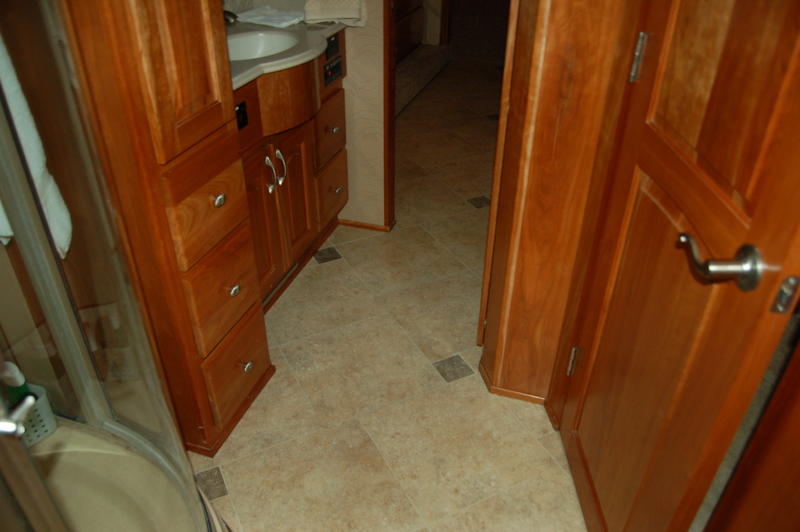 They offer over 150 Realistic wood and stone looks to choose from. 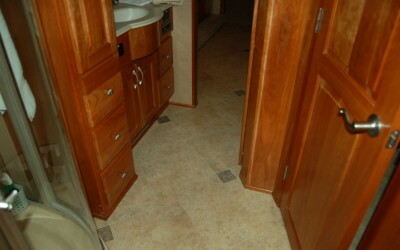 They have everything from Marble, Travertine, Parquet, Limestone, to various wood looks. 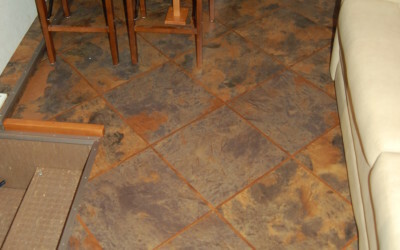 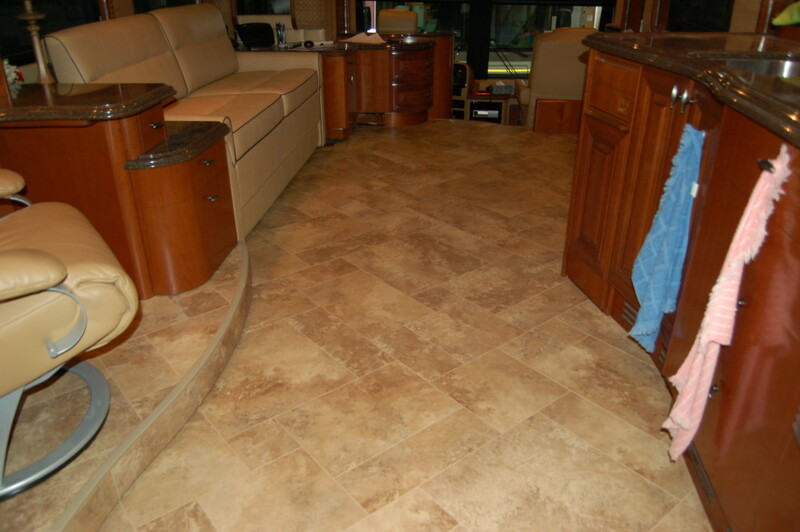 Karndean is one of the world leaders in luxury vinyl flooring. 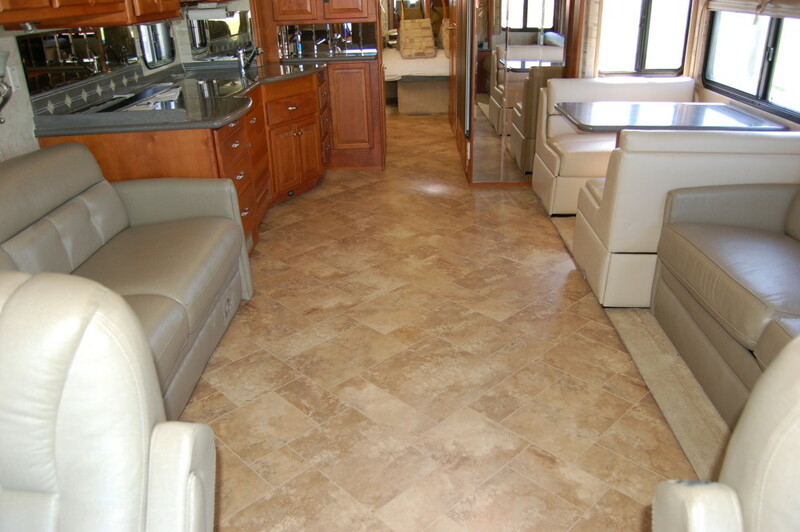 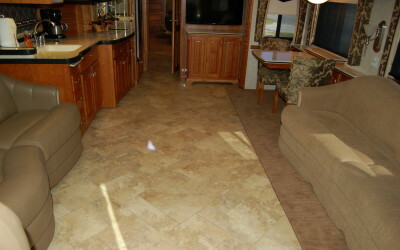 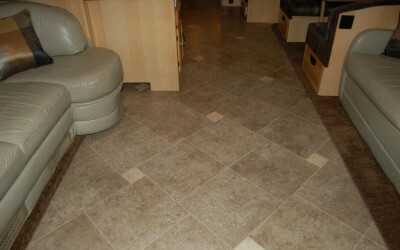 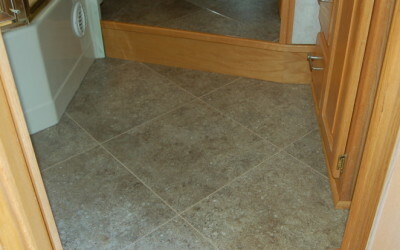 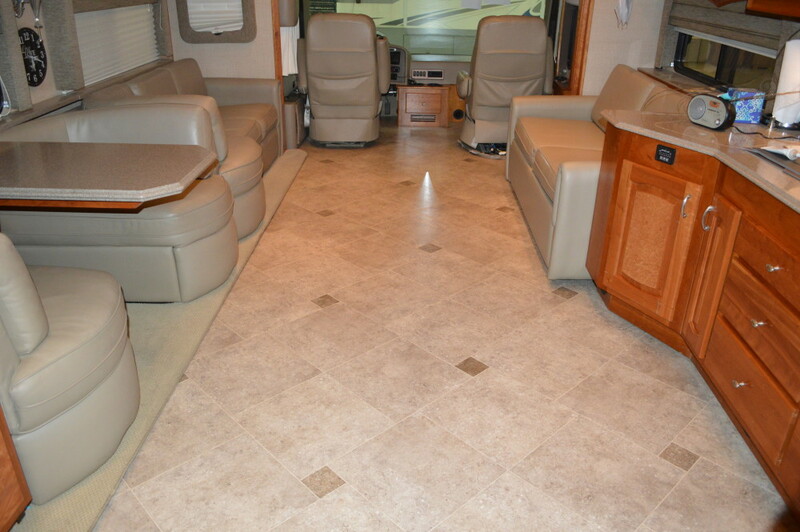 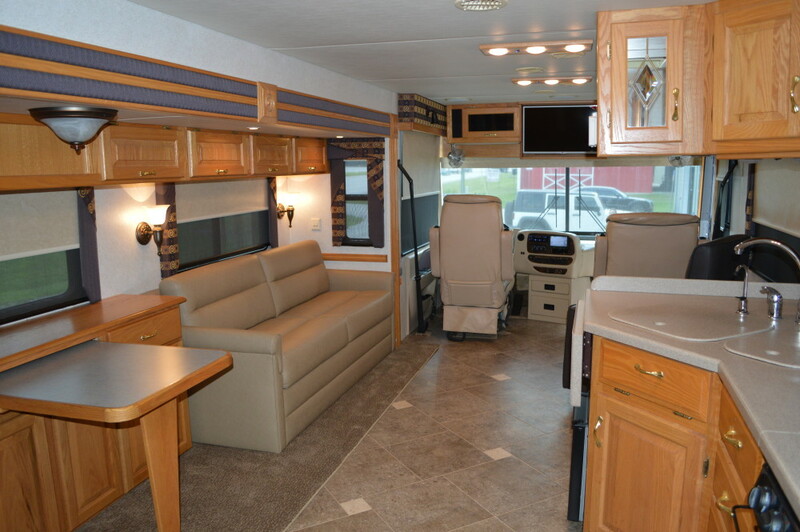 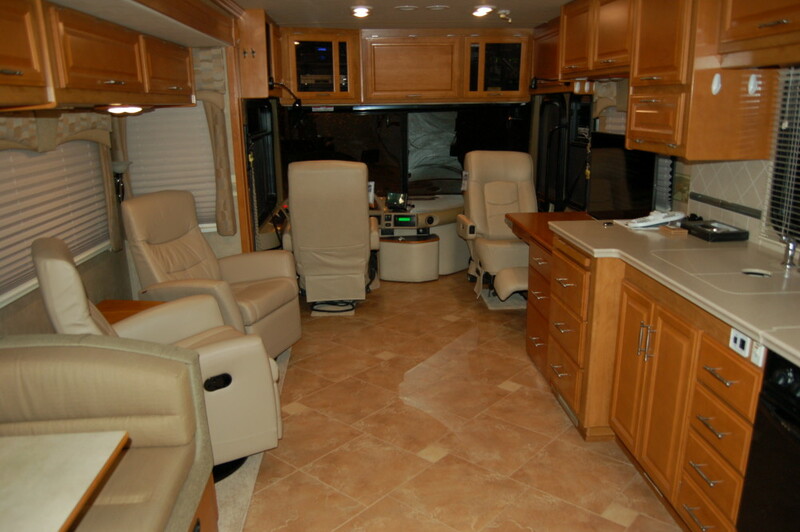 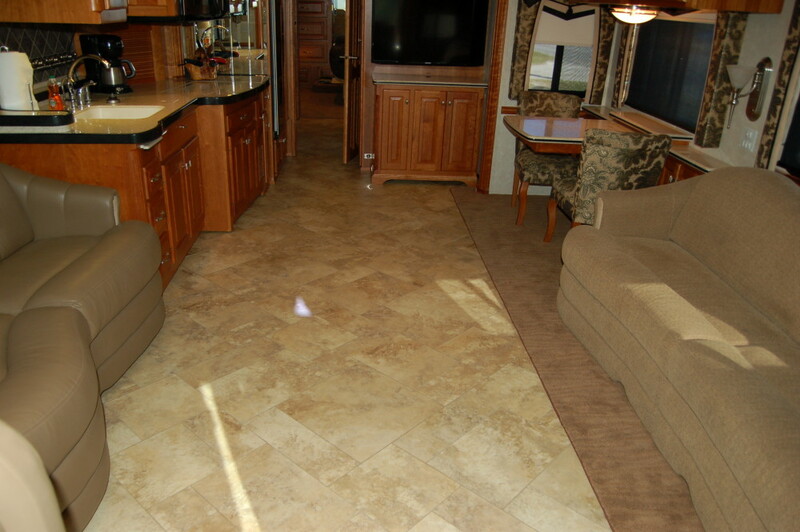 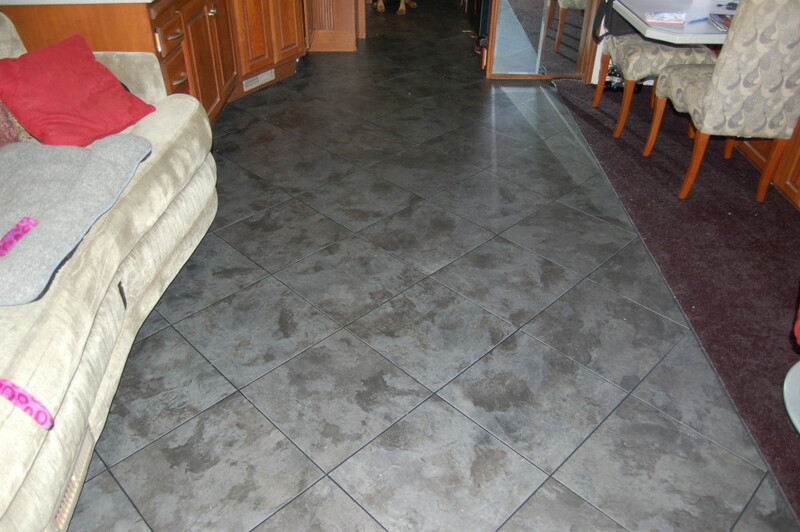 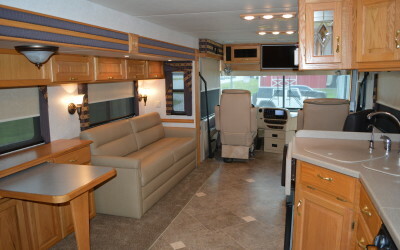 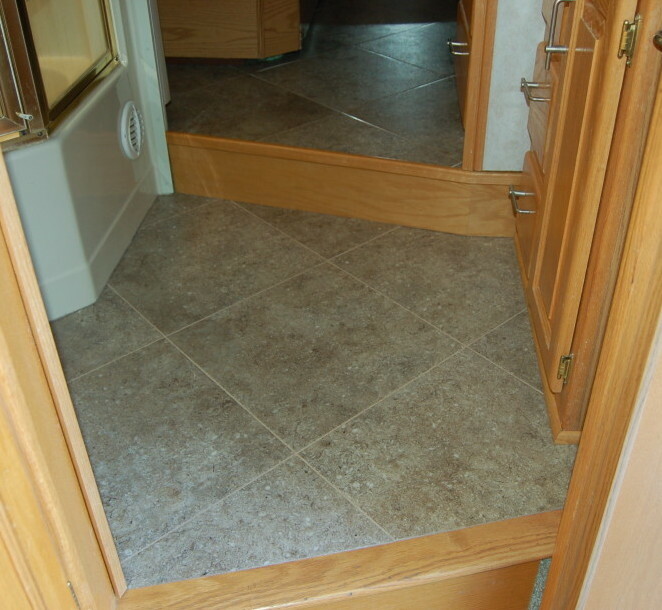 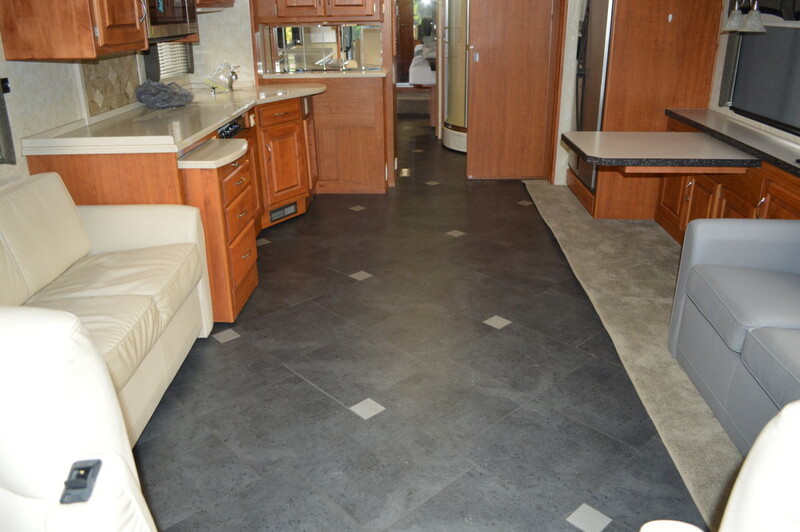 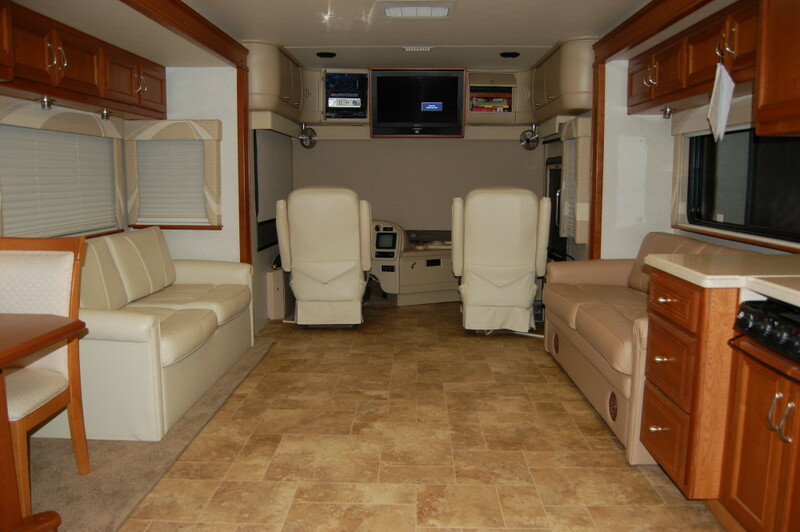 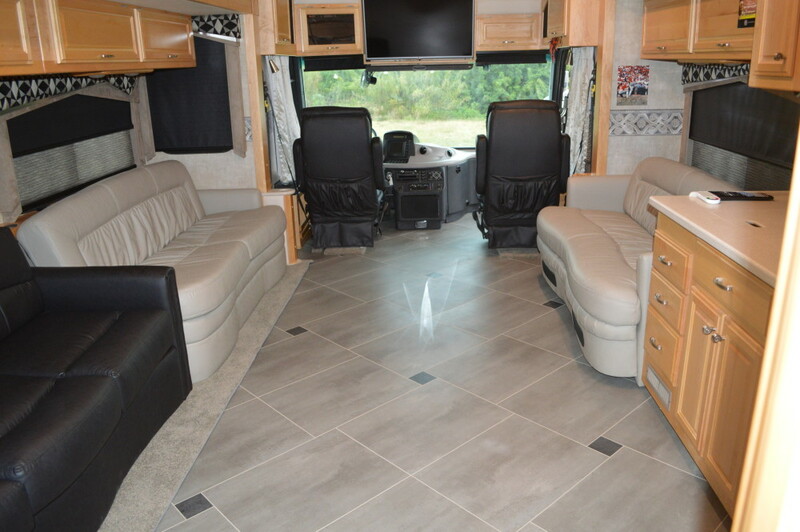 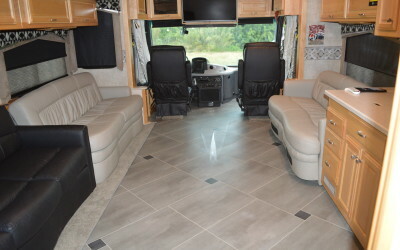 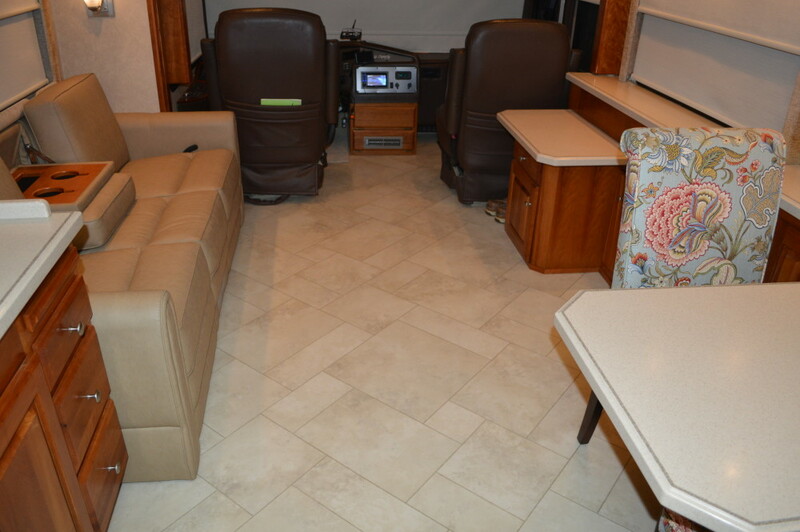 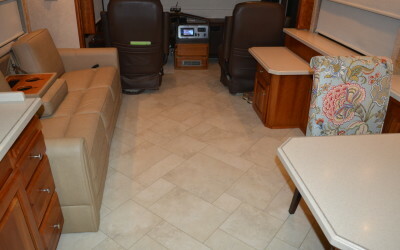 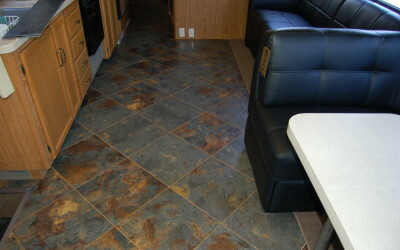 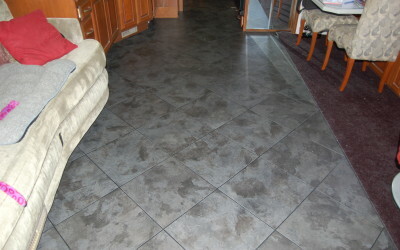 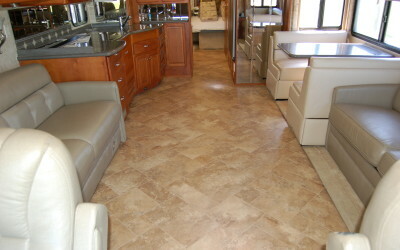 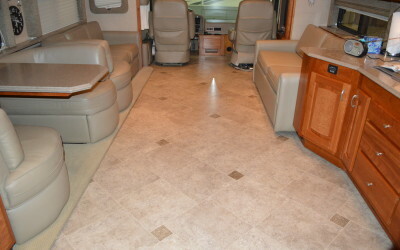 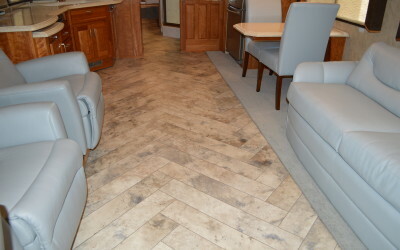 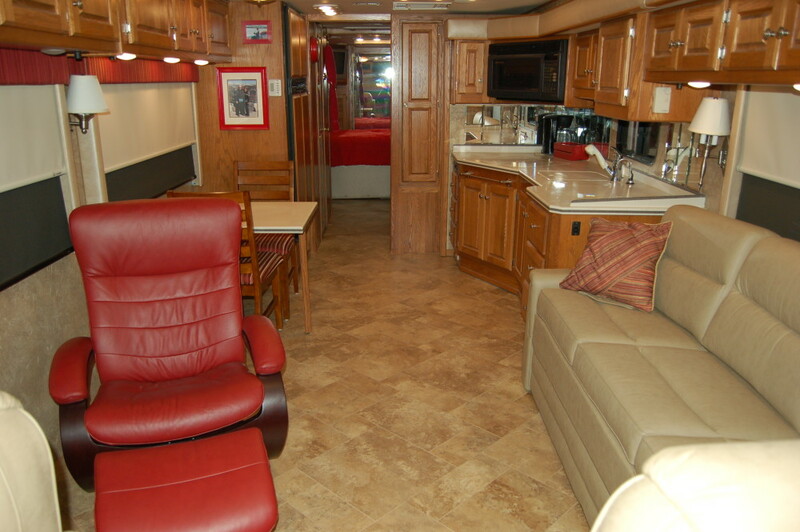 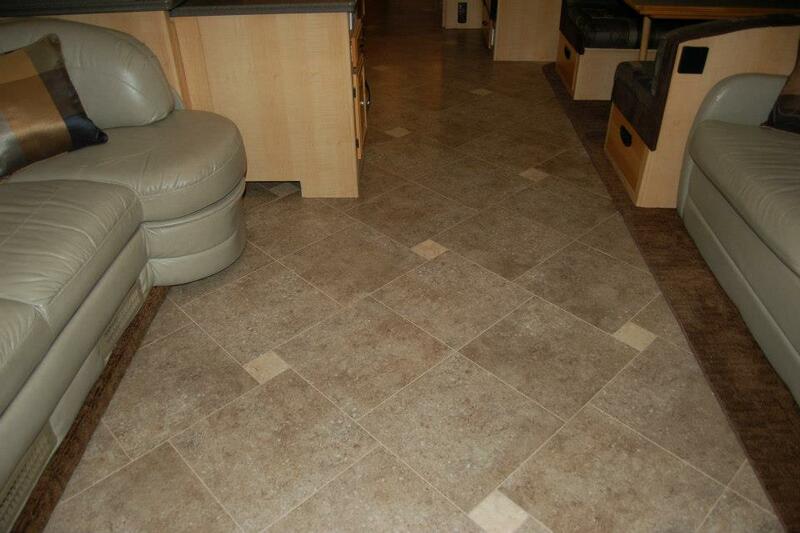 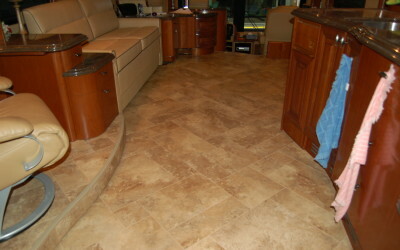 Unlike other natural flooring materials you will find in motor homes, luxury vinyl will not crack, or split and is much quieter, and softer underfoot. 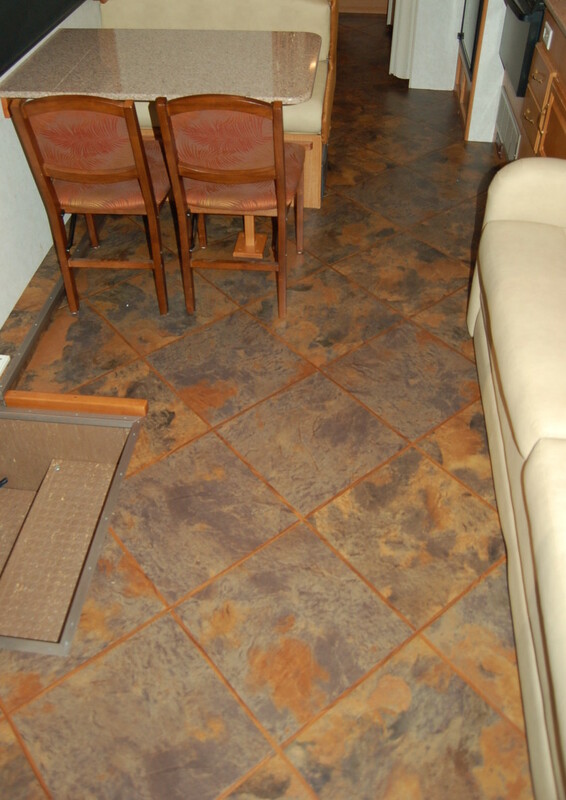 It is extremely durable and can flex with your coach unlike real tile. 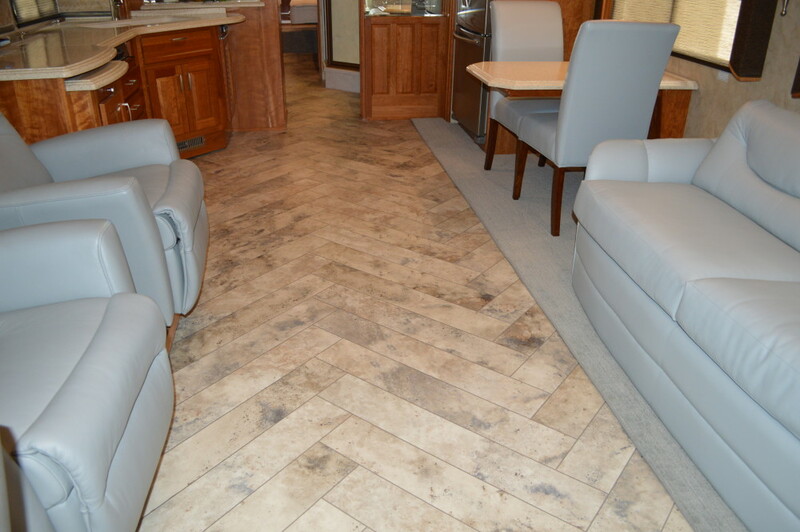 We have a full display of Karndean flooring samples for you to choose from in our showroom. 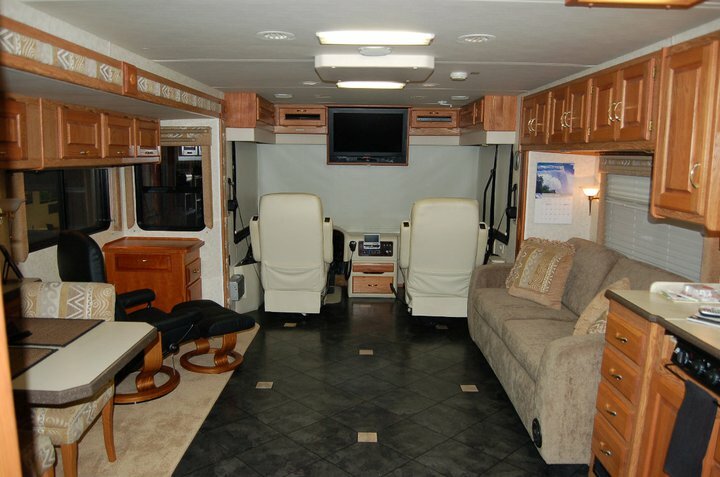 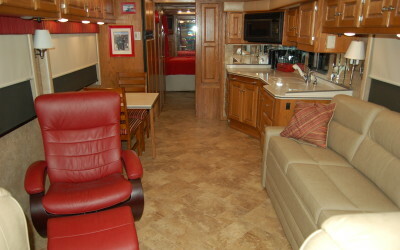 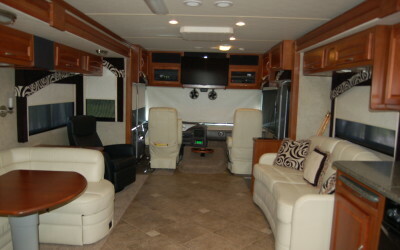 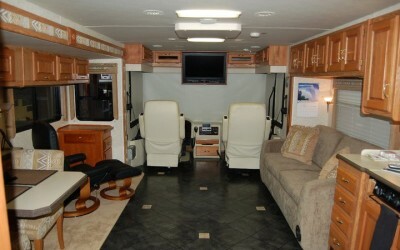 Your design specialist will help you choose the perfect one for your RV.